Ken Rinaldo and Matt Howard, The Autotelematic Spider Bots, 2006. Photo: Gailen Manuel. Courtesy of AV Festival 06. This tour across all of the AV Festival 06 commissions in Sunderland provided an introduction to the work and the commissioned artists. The event began at 6pm at the Northern Gallery for Contemporary Art, where Andy Gracie & Brian Lee Yung Rowe gave a short introduction to their new work, autoinducer PH-1 (cross cultural chemistry). 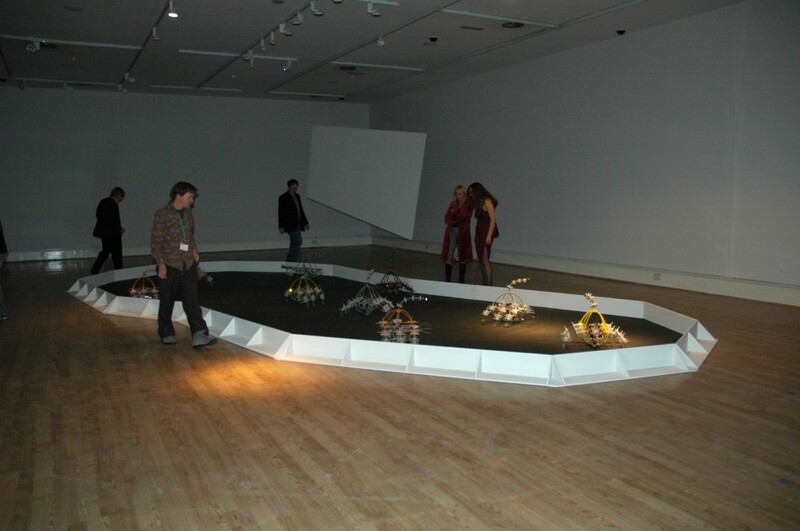 This was followed by a talk and demonstration of the The Autotelematic Spider Bots by artists Kenneth Rinaldo and his collaborator, Matt Howard at the Sunderland Museum and Winter Gardens. The event culminated in a panel discussion, also featuring Anthony McCall, chaired by Beryl Graham and Sarah Cook (University of Sunderland).